Support alphabet awareness, building recognition of letter shapes and sounds. 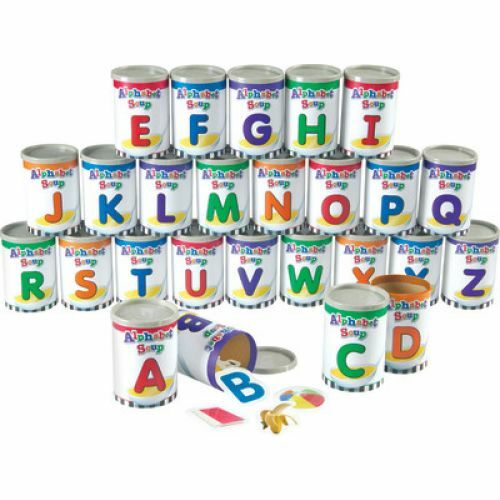 Each can holds 1 uppercase and 1 lowercase letter card plus 5 object cards featuring real-life photos on one side and words on the reverse. Build vocabulary while targeting language, memory and recall skills. 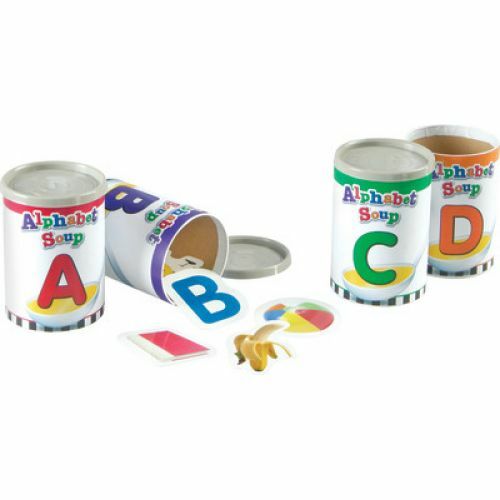 Basic Concepts- Supports alphabet awareness, letter sounds and recognition, and identification of uppercase and lowercase letters to promote school readiness. Language- Students can engage in spelling and word recognition with the object and letter cards to promote early literacy. 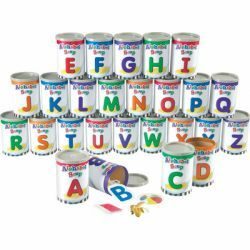 Fine Motor- Sort the letter and object cards into their prospective soup can to refine the pincer grasp. 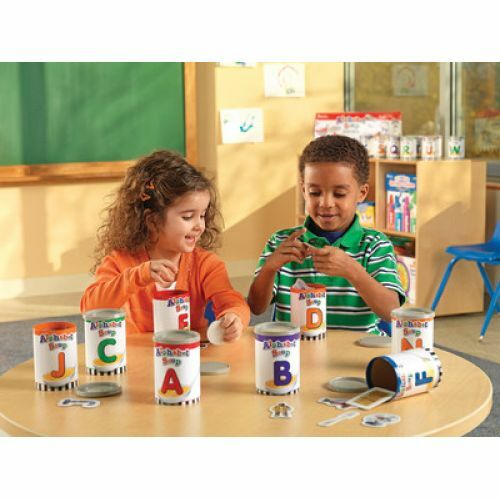 Promote hand-eye coordination to place cards in or out of the cans.